A software and activity kit that supplies user friendly therapeutic strategies to support Sensory Processing, Sensory Integration and motor challenged children. 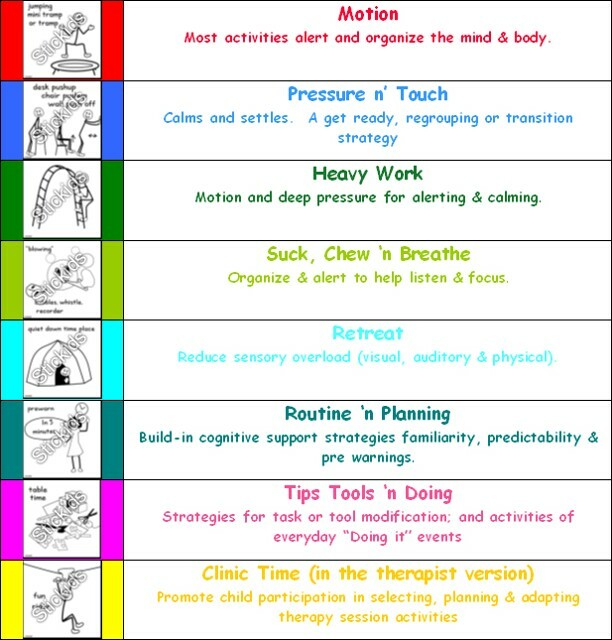 Easily create unlimited visual aides of trackers, planners, games and activity cards for daily functional events, sensory diets and cognitive self regulation . For use at school, home and in the community. Reduced quality in motor response (involving coordination, balance, tone, planning or sequencing), as the motor skill may have been based on misinterpretation of sensory information. 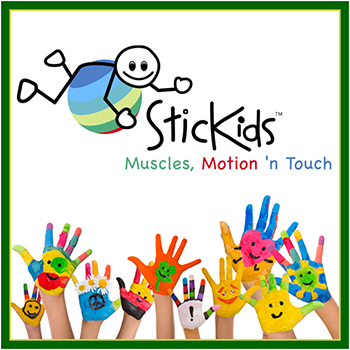 STICKIDS is suitable for children from toddlers to teens and young adults - from mild to severely effected children. It may be used for a single child or for many.It's used has also expanded to mental health and adult populations. Supplements and enhances occupational therapy treatment for children with Sensory Integration and Sensory Processing Disorders. Copyright - Stickids (TM) - all rights reserved.